The English Lab has to be one of the most beautiful dogs in the world. And with an endearing temperament to go with those good looks, the English Labrador must come close to perfection on four legs. Despite being a gun dog enthusiast who has trained several American type Labradors, I totally understand the appeal of the English Lab with his classic, handsome, features. And like a few other gun dog trainers, I’ve experimented with bringing English Lab lines into my life. I have been privileged to share my life with a wonderful English chocolate Lab for some years now. In this article, I explore some of the differences between the American and the English Lab. I also share some of my personal experience living with and training both these amazing types of Labrador Retriever. Then I’ll be delving into every aspect of finding and owning your first English Labrador. And, of course, sharing some of my favorite pictures of English Labs with you. You can comment on the article below, or post photos of your own English Lab on the forum or on our Facebook page. We’d love to see your dogs. If you’re unsure and haven’t taken the plunge yet into life with one of these beautiful dogs, don’t worry. I’ll help you decide if this is the right dog for you. We’ll start by examining the split that has arisen in the Labrador Retriever breed and look at how English labs differ from American labs. Then we’ll discuss the roles that English Labs play, in our lives and our society. That should show us why they are so loved and popular. Also, we’ll look at the future of the breed and at how suitable these dogs are for different types of families. Around the world, the Labrador Retriever has been split into two very different types of Labs. One branch of Labradors has been developed into a strain of amazing family pets. The other has been developed into a strain of incredible, athletic, hunting companions. This split in the breed has happened in many countries, not just in the US. This article focuses mainly on one side of that split—the English Lab. But we will also refer to our American Labs as we go. Dogs typically produce a litter each year. As such, it doesn’t take long for the effects of selective breeding to show. In the second half of the twentieth century, exhibiting dogs became increasingly popular. So for the first time, multiple Labrador generations never required to work as retrievers, were bred. At the same time, those working their dogs were increasingly breeding not just hunting companions, but dogs aimed at succeeding in competitions known as field trials. 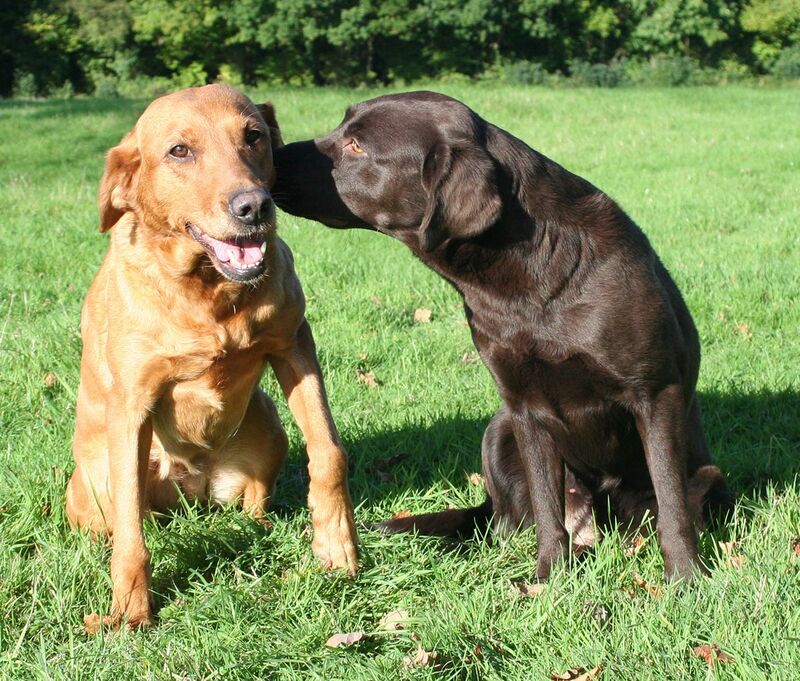 In both the US and the UK, the field trial community is the main breeding pool for Labradors. Here, breeders’ dogs compete for the coveted title of Field Trial Champion. Such a title enables the breeder to earn stud fees from their champions dogs. In field trials, speed and drive are rewarded, less than the steadiness and endurance of old. Overall, dogs are often rewarded for special skills—appearance counts for little. Thus our American labs were selected for their retrieving and marking skills and for their athleticism and speed. Little to no consideration was given to their appearance. The split happened over a relatively short time in history, and was almost complete within five decades. Of course not all Labradors are an extreme example of one type or another. You can see examples of dogs like this moderate black English Lab, in American Labs lines too. But it has now been many years since we have seen a dual champion Labrador—winning as a show champion and also as a champion in the field. Why Are They Called English Labs? The name English Labrador, is a bit of a misnomer. And somewhat confusing for some of our European readers. Most English Labs living in the US are as American as their American Lab cousins. It’s simply that the breed was divided into these types of Lab, based on their roles as either pets or hunting companions. Both strains were named differently in the US from their UK names. In England, the English Lab is called a Show or Bench Labrador. To those living in Britain, however, “English Lab” simply means a lab that was born in England. The American Lab is called a working or field-bred Lab in Britain. And an American Lab to an Englishman, is simply a Labrador born in America. Where Did English Labs Come From? 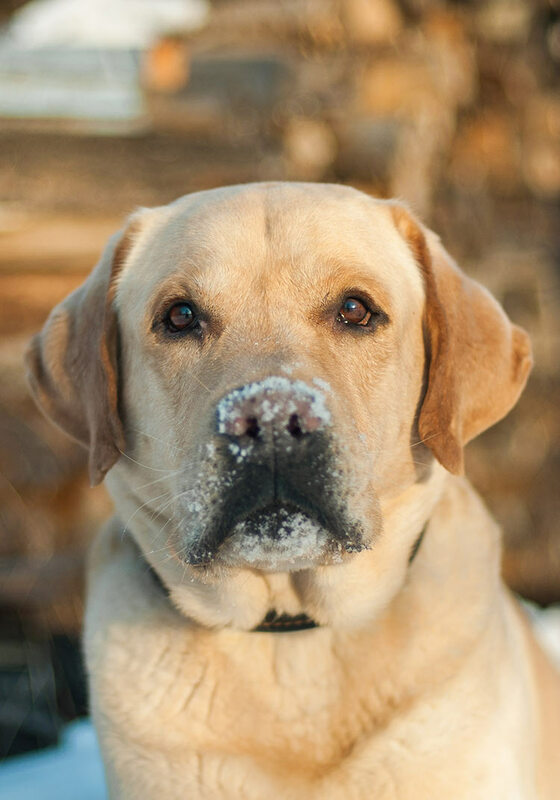 The Labrador breed was established in Newfoundland by pioneering English settlers. These settlers who bought their hunting and fishing companions with them from England. So in a sense, all Labradors are “English,” despite the fact that all early Labradors were working dogs. I’ve written about the history of the breed in some detail, and it’s a truly fascinating story. The split between the English and American labs came later, when the Labrador grew in popularity as a pet during the twentieth century. And as we have seen, it is a division based not on geography, but on role. Until the 1940s, the breed was essentially one strain, and one type. The breed standard was based on this type, and on the role of the Labrador as a working retriever. Then, over the next few decades, two different types of breeders emerged, and with them, the two different strains of dog. 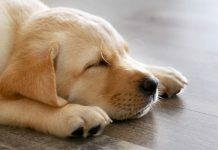 For the purposes of this article, we’ll be sticking to the terms English Lab for show or bench Labradors, and American Lab for working or field Labradors. And we’ll be looking at the key differences between these two strains of the same breed of dog. Let’s look first at the physical differences between the both Labs. You don’t need me to tell you what the world’s most popular breed of dog is. A Labrador is an instantly recognizable breed the world over. But there are some distinguishing features of the English Lab to tell him apart from his working bred relatives. Two very classic features are his handsome chiseled head and his thick tapering otter tail. The English Lab has a larger, heavier head than the working type Lab. American Labs will often have a narrower skull with a less distinctive “stop”—that’s the point where the skull rises upwards quite steeply from the base of the muzzle. You can see the marked “stop” nicely on this yellow English Lab. The English Lab has large kindly eyes, set well apart in his broad skull while his American cousin’s eyes may be a little closer together. The “broad” theme continues as we leave the head of this beautiful dog down towards his tail. His neck is strong and in proportion to his head, his chest is broad and deep, and his hindquarters well-muscled and powerful. And that classic tail that we all love so much is heavy and sweeps downwards behind him. In contrast, the American Lab, when viewed from the front, is often a more narrow dog with a leaner appearance. He gives the impression of a dog built for speed and agility, as well as strength and power. The deep broad chest of the English Labrador may give the impression of a much shorter legged dog than the American strain. The thick otter tail tapering to a point may be a hazard to the china on your coffee table, but it is a beautiful thing. It’s usually something that enhances the appearance of a Labrador. In some cases, the American Lab seems to have dispensed with the otter tail altogether. Such ones possess a more whippy appendage with a curve or upward sweep rather than the low carriage of their show bred cousins. Generally this show bred dog is a stockier, chunkier dog than the Lab bred to work as a hunting companion. And it is this stocky, chunky, and let’s be honest, cuddly appearance that many people find so very attractive. It’s no surprise that a dog originally bred to withstand the icy waters of Newfoundland is endowed with an amazing waterproof, double coat. And while they may never be expected to swim in sub-zero temperatures, English show labs have retained their wonderful coats to this day. At the same time, some of our working lines of Labrador have lost this thick coat. Not all American Labs have the double coat that you find on Labs in the show ring. It may seem slightly odd that the working dog should have lost his working coat. But it shouldn’t. You’ll realize why when we consider where the breeding pool of American Labs comes from. We’ll look at that in a moment. But now, let’s talk weight. The build of the show line Lab is often reflected in his weight. He may be heavier than an American Lab of the same age. Starting from early puppyhood and going right up to maturity. 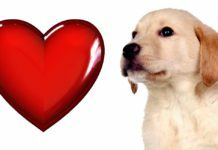 You can find plenty of information and growth charts in my article on puppy development, but remember that your English Lab puppy may be at the higher end of the weight spectrum. Provided that he is not “fat,” that doesn’t matter. And you can find out whether or not your dog is fat rather than just “big” using this guide. 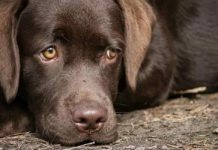 There are differences in temperament between English and American Labs, but they are not always as distinctive and well-defined as we might like. Both strains are friendly, kind-natured dogs. However, the English Lab may in some cases be less energetic and driven outdoors. He isn’t rushing here there and everywhere looking for something to hunt. And in some respects, this may make him easier to control. On the other hand, the English Lab may also be more playful and distractible. He may be more inclined to play with other dogs than to fetch a ball for you. In some ways, this can make him harder to control. American Labs are very tenacious, athletic dogs with powerful hunting and retrieving instincts. They need a lot of exercise, and if provided with this exercise and the mental stimulation from training and working, they can make relaxing companions at home. However, if these mental and physical requirements are not fully met, they can be restless and destructive housemates. The English Lab, on the other hand, may be more relaxing company, even if he doesn’t get a full work out each morning. He may be quite bouncy when young but often matures into a very gentle and loving dog. 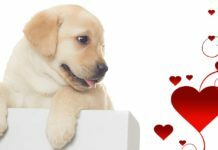 From quite an early age, an experienced breeder or Labrador enthusiast will be able to identify an English Lab puppy from an American Lab puppy. The puppy on the left is 3/4 English Lab and 1/4 American Lab. On the right, however, is an American type Lab. The American Lab puppy has a narrower face and larger eyes and ears in proportion to her skull. If the chocolate puppy did not have some working genes, the difference between them would be greater. Here they are all grown up and having a joke at my expense! The differences between the characters of these two dogs are far more distinctive than the apparent differences. The yellow Lab, Tess has the focus and sensitivity common in Labs from working lines. Yet, she is supremely confident and assumes that everything will always be fun and interesting. She is intensely interested in people and in trying to anticipate what they want. I’ve noticed she likes other dogs but is not focused on them. She has a fantastic work ethic. In other words, she has the ideal temperament for a working dog. Rachael, on the other hand, is even more sensitive, but very distractible and intensely playful. She can lack confidence in challenging situations and is actually much less restful in the house. Compared to Tess, it is easy to see that she struggles to “switch off.” And while she’s a very keen retriever, it hasn’t been as easy to channel that drive in a useful way. Of course, you expect personality differences between different Labs of the same type. But trust me, the distractibility and playfulness of English Labs compared with American Labs, comes up in conversation quite a bit. 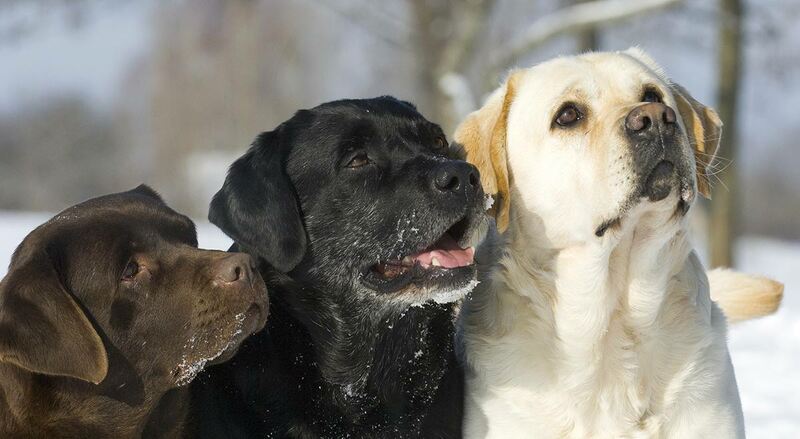 It is common knowledge that English labs come in three key colors: black, chocolate, and yellow. The yellow variety can range from a pale cream to a rich deep golden color. You may have heard that there is a new (and controversial) color Labrador. You can delve into the controversy surrounding these dogs in my in-depth guide to silver Labs. You are less likely to find silver English Labs (as opposed to American Labs). This is simply because the color is not recognised in the show ring. Moreover, English Labs are often bred by dog showing enthusiasts, most of whom are opposed to the registration of silver dogs. Thankfully, English Labs are not high maintenance where grooming is concerned. These active dogs will get themselves in anything from dirt to mud. But with their nearly dirt-resistant coat, you needn’t worry too much. For Labs, you can bathe them when they’re smelly or have got themselves into a murky play situation. But overall, it’s best to bathe them at least once in three months. You can also use a grooming brush to make that lovely coat shine. They’ll thank you for the massage! English Labs, like all Labs, are shedding pros. So you’ll need a Furminator to stay sane during molting season. We have an entire post on grooming your fur baby right here: Grooming Labs. Is There a Different Breed Standard for English Labs? As far as the breed standard is concerned, there is only one Labrador Retriever. So in theory, all Labrador Retrievers should meet the breed standard, or at least come pretty close to it. Dogs exhibited at dog shows are judged against that breed standard, so you would assume that any divergence would be on the part of the working dog lines. We’ve also seen show dog heads becoming bigger with looser skin. On the hand, working dogs have lost their wonderful otter tails, and in some cases their double coats too. 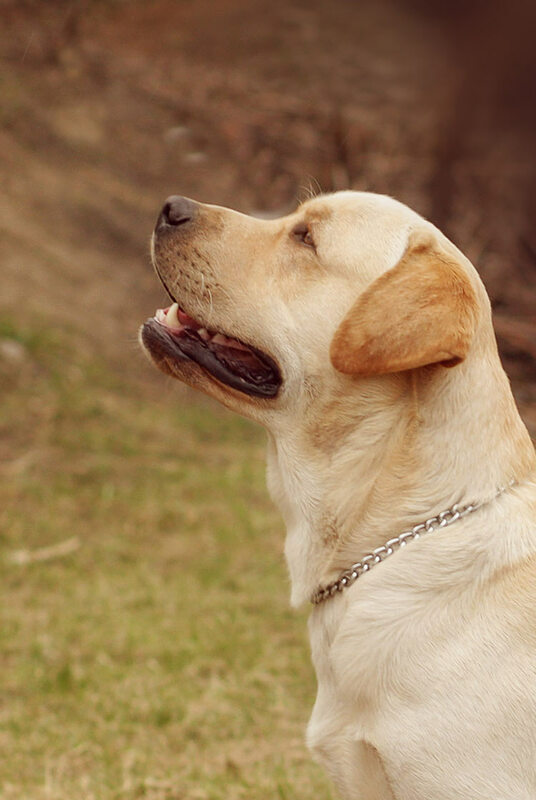 Like all pedigree dog breeds, the Labrador Retriever has its fair share of genetic diseases. Many of these inherited conditions can be avoided by choosing puppies from health tested parents. Some other health troubles may affect English Labs and Labs in general. But keep in mind that these are things you can prevent by regular medical check-ups. Or at the very least caught early enough. No breed is free from medical issues, and Labs are some of the best breed you can find. Joint issues: English Labs deal with everything from joint dislocations to hip dysplasia. Eye troubles: They also are known to suffer with cataracts and issues with their retinas. 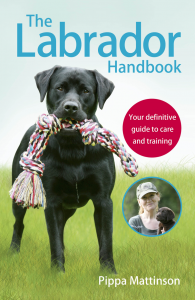 Cancer: This is a big one for Labradors in general. 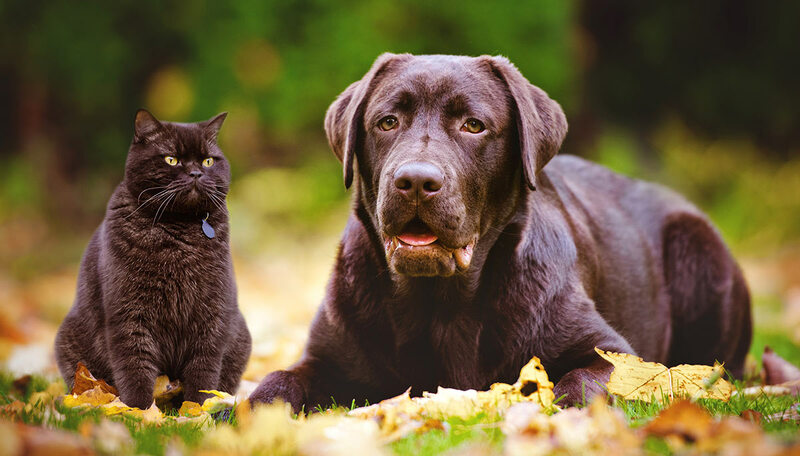 Diabetes: Labradors can develop diabetes, but with proper care can live long healthy lives. You can learn more about Labrador health issues in this linked post. And find out which medical checkups are helpful for Labradors. Let’s discuss another health issue especially for show line dogs: obesity. Obesity in English Labradors – How Chubby Can You Go? This isn’t because these dogs inherit an obesity gene, or are lazy. Rather, it is more likely due to overfeeding since the English Lab community is accepting of higher weight levels. Basically, it’s easier to let your dog get a bit chubby if your friend’s dogs are all overweight. But studies have shown that avoiding obesity in your Lab is the single most important thing to keep your dog well and give him a long and happy life. Is an English Lab the Right Dog for Me? Both Labrador types share many features. For one, they are big, messy, powerful, and bouncy when young. When you are confident that you want a lab, then you can decide whether an English Lab is the right dog for you. If you just want a relaxed family pet, or the appearance of your dog is important to you, then an English Lab may be a simpler choice than a Lab from working lines. Some breeders are trying to bring classic Labrador features back into their working lines, but not many. If appearance is less of a big deal, you have more choice. For active people who intend to walk and train their dog extensively, either American or English Labs will suit you. If you love training dogs to a high standard or intend to use your dog as a hunting companion, perhaps reconsider. You are likely to find an English Labrador a little more frustrating to train. You may find he lacks the drive, persistence, and athletic ability that you need. Having said that, here in the UK, many English Labradors do work part-time as hunting companions and do a pretty good job. For a classic English Lab with the stocky appearance and otter tail, go to a breeder who specializes in English lines. 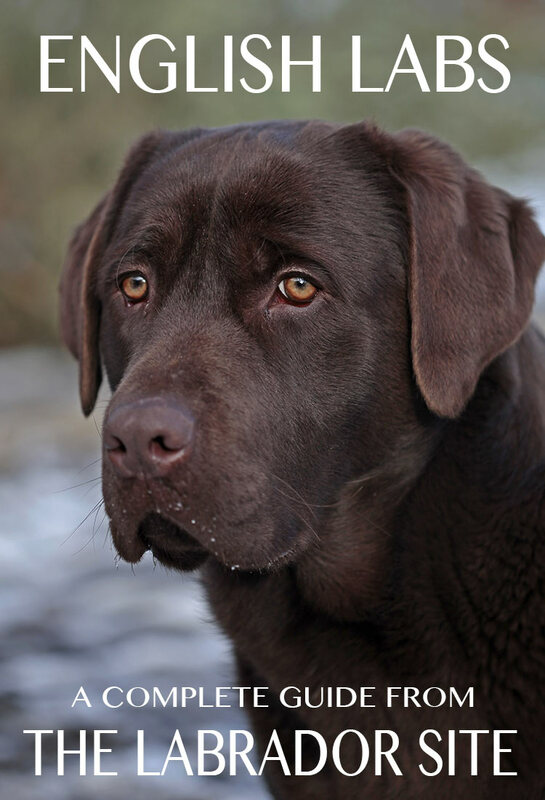 While some American Labs are very handsome, you won’t find the really thickset, stockier dogs in working kennels. So look for breeders who exhibit their dogs in the show ring. Or at least, who own dogs whose parents of grandparents have had some success in the show ring. These dogs will have titles after their names such as SH CH (show champion). By contrast, an American lab is more likely to have titles such as FTCH (field trial champion). Aside from this distinction, much of the task of finding a good breeder is the same for either strain of lab. Do check out the link to get you off on the right path. Many people in the working retriever community are not overly concerned with the appearance of their dogs. But some others would like to see Labrador with more classic English Lab looks, working in the field. Then, some like me have also dabbled with field training English Labs or English/American mixes. But without any high-level success in trials. Similarly, a few within the English Lab show community train their dogs to work in the shooting field. Honestly, though, they are few and far between. So it truly appears that the split is here to stay. It also seems that English Labs will continue to be a clear and perhaps increasingly separate “type” from their American cousins. Whichever type of Labrador you choose, you’ll have a wonderful and beautiful companion for many years to come. English Labradors are still a largely unspoiled breed. Let’s hope it stays that way. May the English Lab retain his wonderful zest for life, his love of retrieving, and of wallowing in mud. 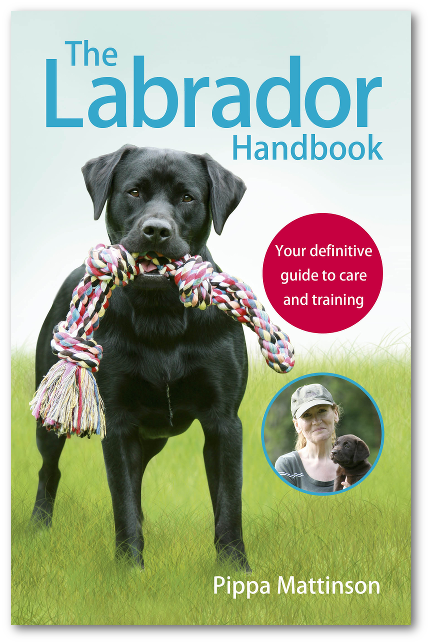 For more information about the wonderful Labrador in all his shapes and forms, check out Pippa’s Labrador Handbook, available online and in all good bookstores. WebMD. Flowers, A., DVM. 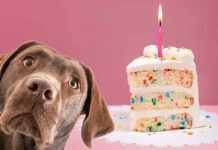 Diabetic Dog: How to Manage His Diet. PetMD. Dog Breeds: Labrador Retrievers. The Journal of Nutrition. Hawthorne, A. J. et al. Body Weight Changes During Growth in Puppies of Different Breeds (2014). Journal of the American Veterinary Medical Association. Smith, G. K. VMD et al. Evaluation of risk factors for degenerative joint disease associated with hip dysplasia in German Shepherd Dogs, Golden Retrievers, Labrador Retrievers, and Rottweilers (2001). English Lab has been extensively revised for 2019. 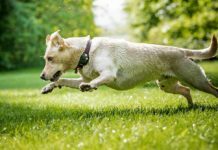 Dog Zoomies – Why Do Dogs Run In Circles? 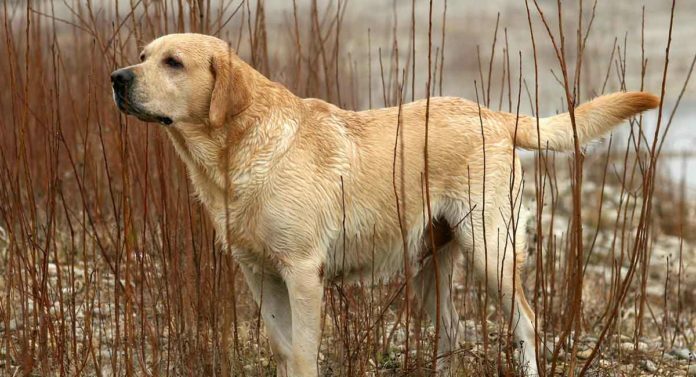 Pretty good article, however you should look at Deep Run Farm Retrievers, specifically “Poplar Forest Play It Again Sam” and “Deep Run Casablanca” father and son. Both have been very successful in show ring and field trial hunt tests and competition. I have a black female out of this line that is the exact image of Sam and she is both a superb upland hunter and retriever as well as the best companion dog I have ever had the pleasure of owning. We breed both English and mixed American English. I refuse to hunt with an ugly dog so I love the English line and look and find them to be excellent field dogs with outstanding good looks if you do the research and get bloodlines are proven in the field and show. i wonder though how American or English even comes into play when they originated in Canada . Hey great article thanks for writing it. I own a English Yellow Lab. Best dog I’ve ever owned. I have a13 month old American field lab. His parents are registered “gun” dogs and have won many awards. I can see the focus during our training sessions with my pup. He is headstrong though and loves to “steal” items that he shouldn’t have. We’ve recently opened up our pool and if he could spend all day in there swimming and retrieving balls he would. He loves everyone he meets, likes other dogs too, but people more. He is growing up to be a fine family companion. We do work all day. I send him to doggy daycare a few times a week, but any other ideas on how to help him release some energy? We walk about 2 miles daily and sometimes jog for part of it. Superb article! You have a wealth of information and I appreciate it very much. breed Labrador/Chow/Australian Shepherd and so loyal, gentle and attentive to details. I love them all as they are “pure” at heart and full of love. Wonderful article. I have 3 Beautiful English Labs. And you have described them perfectly. They are very loving, loyal and at times mischievous. They are all blocky and stocky. There are many differences in American and English labs. So many people don’t understand the differences. Thank you for explaining in detail the differences. Love your article, Pippa. I adopted a 4 year old black English Lab named Midnight several months ago from a neighbor’s wife after her husband passed away suddenly. My other dog, Morgan, a 6 year old Belgian Tervuren, and I have known Midnight all his life. We always stopped on our walks to pet him because he was never walked by his former owners, and spent his time behind a fence. He weighed 119 pounds and didn’t know how to play. He now weighs 104 (we’re working on his weight) and runs and plays and goes on walks twice a day. I couldn’t understand why he doesn’t retrieve until I read this article. My Terv is a ball-aholic and he just watches her fetch and retrieve like he doesn’t understand the concept! Thank you for helping me understand my big, black foot warmer better! We have an 11 year old lab who we adopted almost two years ago at nine. He looks exactly like the lab in your first picture (the book cover).Lars is the chillest dog I’ve EVER been around, and I’ve been around dogs all of my 60 years. He’s 25 inches at the shoulder and a (now) trim 80 lbs. His former owners overfed him, as he was 119 lbs when he was surrendered to one of our local shelters. He came to us house trained, crate trained, obedience trained, walks on a leash beautifully. His only fault is that he doesn’t know how to play (which is sad). We evacuated for hurricane Irma, and he slept the entire 11 1/2 hour trip from Charleston, SC to Knoxville, TN. He took the whole thing, strange place, lots of dogs, weird noises, totally in stride. We call him bombproof–nothing fazes him! I’ve heard him bark maybe 6 times since we got him, and always because there was something that needed to be brought to my attention. Once he knew that I was aware of the thing, he immediately stopped barking. Hello, love this article and explanation. I love labs and have always been a fan. I just got a chocolate lab pup from a breeder who has been breeding show and field cross labs for many years. I have yet to find any good pictures of what my boy may look like when he gets full grown. I’ve got a picture of his Sire (he is full AKC and he comes from a long line of AKC dogs) but I’d like to see other show and field cross labs if anyone has pictures. Great Article! I am on my 4h lab. I currently have a chocolate English lab, Coco. She too loves loves loves food and catching the ball (over and over and over again). Loves to swim and please us. She is a true friend. Her jowls are the size of a St Bernard, which can cause quite a mess. Otherwise, Coco is the best! So loyal and loving. I love my labs! The section comparing Labs shows photographs of two puppies and then the dogs grown up. Well Sam, my Lab is a look-a-like for your American Lab and in Scotland we call this type of Lab a Red Fox Labrador because of its colour. Loved the article and it helped me to understand my dog as he is a fantastic swimmer and loves being in the sea and has oodles of energy which I have to work off each day. 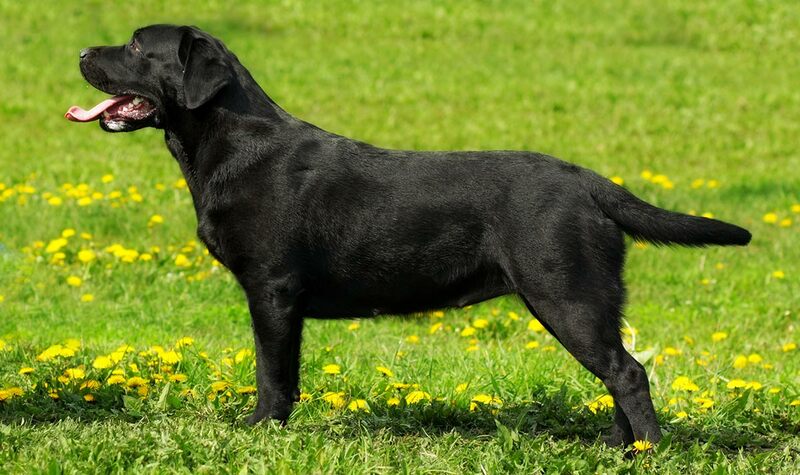 I have a charcoal Lab who exhibits all of the traits of an English Lab, with the exception of shorter legs – but that is most likely due to early neutering, and late closure of the growth plates. His coat is thick & luxurious, his head is huge and blocky with a pronounced stop, and he has been a mellow, laid back dog since the day we got him, at 12 weeks old. Having had an American (and being the grandma of an American), he is much better suited to our more laid back lifestyle. Good article overall. Within the U.K. there are different ways of defining our labs one, as you have mentioned, is “show pedigree” & “field trials pedigree” relating to your English & American types. We also, less often & falling out of use to a degree, define them as “Windsor” & “Sandringham” respectively recognising the royal urban & county residences at which labs were once bred for the home/show ring or the shooting field/field trials uses. My heart is broken at loss of my Alfie , where can I get a 3/4 yr old black lab from.. Geoffrey.. I love my labs and I don’t really know if they are English or American but they look just like yours???? My Riley Lab is more white than yellow and he is a mix of the two I think. His face is more like an American Lab but he is shorter than most labs and has a think mane around his neck and a wavy fur line down his back, much softer than the average wiry Labs I see. He is tge best dog I have ever had. He doesn’t run away. He is loyal, fun to p k at fetch with his tennis ball and especially loves to fetch in water. When he goes to the Lake first thin he does is run down and down in the the water. So fun to train and great respect for my cat. What a fantastic article ad I really appreciate all the help you provide to us who are so blessed to share our lives with a Lab … it truly is the most heart warming experience. My Molly is a black English Lab – she is 18 months old and a complete joy to be with – loving, caring, kind and understands so well what is going on for you. You couldn’t want for a better companion and true and devoted friend. I totally agree with the earlier comment that I would give up my home rather than part with my best friend Moll. One issue for the English Labs is that people who clearly don’t know the difference between the American and English Labs call her “fat” because she is a solid frame with a robust strong chest – we follow a strict diet and exercise regime to make sure her weight is under control as we know she could easily put on weight but she will always be a solid frame and cuddly and I adore her teddy bear looks. What is so impressive about her is that she seems to understand that she needs to cooperate on the food and exercise side of things and even though she would happily eat more and sometimes doesn’t feel like a workout and would rather lie comfy in her bed for a few hours more, she is always eager to please us and knows we are always motivated by her best interests. These dogs are truly the most wonderful and intuitive creatures – if you are in search of happiness and reasons to smile constantly, I thoroughly recommend them. Not sure where the idea that to English people the term English or American Lab simply means the Country they were born in comes from but it’s completely off the mark. Ask in every UK Lab Facebook community and you’ll get a very different answer. Though we tend to use the terms of Show or Working Stock to identify the two strains of Lab here in the U.K. we would know which term of American and English Lab refers to which. I’m a proud owner of a typical Show/English Chocolate Labrador and they make the very best companion you could ever want. She adores retrieving, although sadly being born with congenital hip dysplasia we have to limit her exercise. She has a very playful and loving disposition. She also wants to please constantly. We have never had any problems with her destroying furniture etc. Nor has she ever counter surfed or has any stolen food (very unusual for a Labrador as they are very food orientated) – I’ve tested her over and over with tasty food left where she can get it but she has never taken it – I’ve not even commanded her to leave it .. she just doesn’t touch it. She does tend to carry more weight than a working stock/American Lab but that is partly down to not being able to exercise as much as she should. Her food is cut accordingly but she’s still prone to the extra weight. In fact we took part in a study being done at Cambridge University looking at the traits in Labradors for their hunger, greed etc. You can read about this on the Go Dogs website. Her appearance with a deeper chest also makes her look bigger than she actually is. I think as long as you choose the correct ‘strain’ to suit your lifestyle, you really can’t go past a Labrador for a work companion or a much loved family pet. I have an English lab I received from a friend who is a breeder. His father is a two time Chsmpion, but that doesn’t matter to me. He is beautiful, loving and I would give you my house before I gave you my dog. I’ve loved every dog I’ve ever had, but this one is my favorite. I am close to retirement and I am looking forward to spending more time at the lake and in the woods with my pal. And yes, my wife of 32 years loves him more than she loves me. I would love to post a picture if I could figure out how. My entire life changed when we welcomed Yukon Cornelius, our English lab, into our family. He is just fabulous although a bit too chunky. I do not want to risk his health. Can you suggest the appropriate amount of food daily? He is two years old now and eats pure vita. He’s always starving he thinks. I have one Lab from a long line of working labs, and is all things a working lab should not be, does not retrieve, lazy and afraid of water ! My chocolate who looks like a show dog( English type) is a great retriever, loves water and is very focused. Goes to show you can not always count on what you are getting. They are both great dogs. A very interesting article. I have three wonderful black labs…two males and a female, 10, 8 and 4 years. One thing I have never really got an answer to is the difference you’ll often find in the labrador coats. My 3 all have the same rather quite thick and wiry coat…a classic double coat. However, I have friends whose labs have quite a fine, smooth coat. Is this something to do with the English/American heritage? I would really like to know. Hi, I wish you wouldn’t call Labs English or American, there is no such thing. We have both types over here in the UK, what do you think we call them, English and English? it doesn’t make sense. There are two types, show or field, the show being the heavier stocky build favoured in the show ring and the field which is lighter in build with a more energetic temperament more suited to working in the field. You make it sound as though the “American” type is a distinct variant developed in America but as I said earlier we have both types here as has the rest of the world. My lab is the field type out of working stock with many FTCH’s in her line whose parents are owned by two game keepers. She is slight with slender legs, a narrowish face and very energetic, does that make her American? Sorry for the rant but the internet is global and your articles get read outside the good old US of A. Perhaps you missed this part of the article Alan? “The name English Labrador, is a bit of a misnomer. And somewhat confusing for some of our European readers. Most English Labs living in the USA are as American, as their American Lab cousins. In England, the English Lab is called a Show or Bench Labrador. In the UK we tend to refer to them as having a “show” or “field trials” pedigree. Some, now very few, lab lovers use an older classification with the show dogs being “Windsor” and the field dogs being “Sandringham” bred; this as a reflection of the royal residences in town and country settings respectively. Hi! My Chocolate lab is possibly mixed with a American Pitt. We haven’t got a blood test yet but she’s now 1 year and 4 months and she’s very hyper, gets into everything, inquisitive, retriever, barker and so much more. Our main problem is the barking. She barks at least 50-70 times a day (at the mailman, ppl outside, cars coming in the neighborhood, sounds in general). She also is very smart, but too smart. She’s trained not to come up stairs, so she gets on my couch at night because she’s not allowed upstairs so when I rush downstairs every morning she gets off really quick like she wasn’t on there with her nose down. Kind of like she’s a spiteful doggy. Another example she’s trained where she barks when she wants to go outside but I’m trying to limit her times going out one day and the next morning she got into some items that’s been sitting in the same position for months and shreds to pieces. Also she’s a big humper, is this normal for a female dog? She’s very good with all ages of kids they play hiding go seek with her and she actually finds them lol. One more bad trait about Coco is she goes in the trash and eats everything, she has a hard gut! She doesn’t eat her food she rather starve then eat her food. This is our first Labrador and she’s a tough cookie compared to other breeds we’ve had in the past! We need help! The barking is my main issue! Hi Pippa, We have an American lab, Buster & an English lab named Chance. They fit your descriptions perfectly. They are adorable and we are hooked on the breed! The tough part is which color to choose. 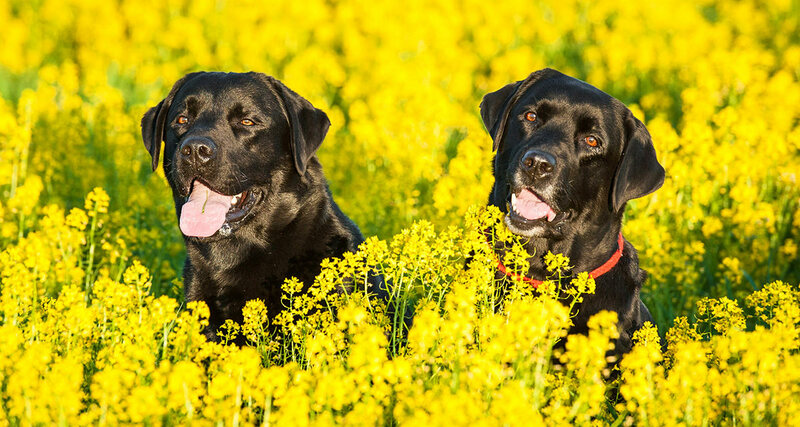 We have enjoyed our yellow, black and brown labs. They are so beautiful. Each trait is appreciated. Everyone loves watching the sporting ability of the American, he is an athlete! Our English is also quite athletic, but he would rather interact with the ball thrower and the American is mostly focused on the achievement of the ball. Very good article! I have a lab who is half English and half American. She is got more of the classic American feature. She’s a runner and very confident!